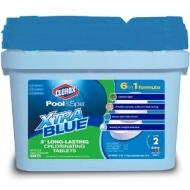 Prevents chlorine loss. 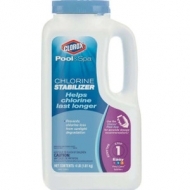 Enables chlorine to last longer. Protects chlorine from sunlight degradation. Quick-dissolving 6 in 1 multi-functional formula. Sanitizer and Shock. 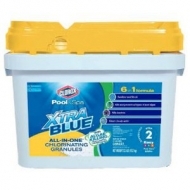 Kills and Prevents all types of pool algae. Kills bacteria. Removes organic contaminants for clear water. Protected against sunlight to last longer. 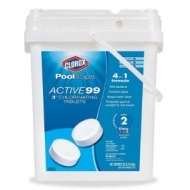 Reduces eye irritation and chlorine odor. Add through skimmer or directly to water.